Fiat has confirmed that it intends to take part in the new scrappage scheme, announced by Chancellor Alastair Darling in last week’s Budget. With £1,000 put forward by the Treasury for motorists who scrap their old cars in exchange for new ones, matched or exceeded by the manufacturer, it means there has never been a better time to buy a new Fiat car. The deal, called Fiat-eco plus+, will further assist drivers choosing to get rid of their old ‘banger’ and replace it with a cleaner, safer and more economical new vehicle. * Fiat Bravo 1.4 Active for £9995: Normal list price £13,255. Scrappage scheme removes £1000 and Fiat’s deal saves a further £2260. 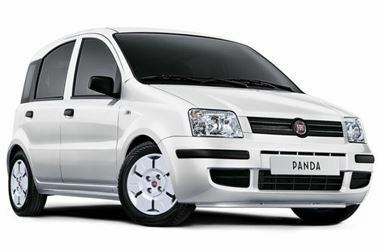 Many of the cars included in the scrappage scheme also come with the added option of special four-year finance deals including the Fiat Panda 1.1 Active ECO for £89 a month, and the Grande Punto 1.4 Active 3-door for £119 a month. “We welcome the Chancellor’s decision to introduce a scrappage scheme, which will help the UK’s motor industry and do something positive for the environment,” says Elena Bernardelli, marketing director, Fiat Group Automobiles UK. “That’s why we have agreed to join the Government incentive and further encourage customers to make the decision to change to a new Fiat. “The savings don’t just stop at the list price, of course,” adds Elena Bernardelli. “Many customers will get the added benefit of reduced road fund licence rates for the lower CO2 engines we offer, and all will get excellent fuel economy and great value for money."